I would have to say that 'cozy' is the perfect word to describe the Monterey Pub. The tiny bar and dining area are packed with character, a rowdy cast of regulars and the type of food that really reminds you of the humble beginnings of the Steel City. 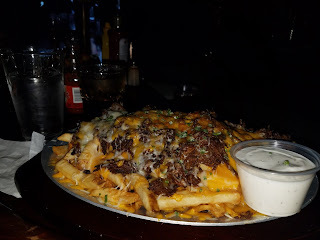 Pictured above are the pub fries with heaps of cheese and Guinness shredded beef. They were remarkably tasty and it was absolutely necessary to share the order with a friend. The amount of beef and cheese layered on top of the crisp fries were easily worthy of a separate sandwich. In addition to sporting all sorts of traditional Irish fare (bangers, boxties and shepards' pies, oh my.) Monterey also features a variety of rag-tag melting pot specials throughout the week. Pasta night, Mexican night and burger night just to name a few. 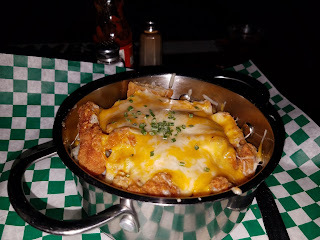 One of the favorite dishes of the evening was the chicken and waffle nachos. 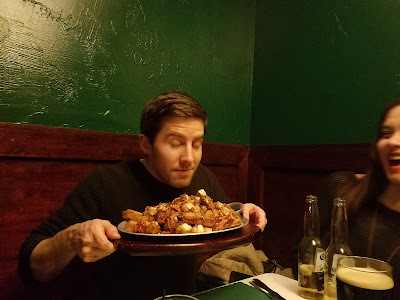 Belgian waffles with syrup, bacon, some immaculate fried chicken and a jalapeno berry jam. The fried chicken itself was extraordinarily succulent and memorable. Just look at that face. Views have changed in the last few years as to what causes high cholesterol, however, I'm certain my three courses at Monterey Pub would not be approved by any state bonded cardiologist. Possibly the most interesting dish on the menu is 'Will Smith's Stoner Pie.' 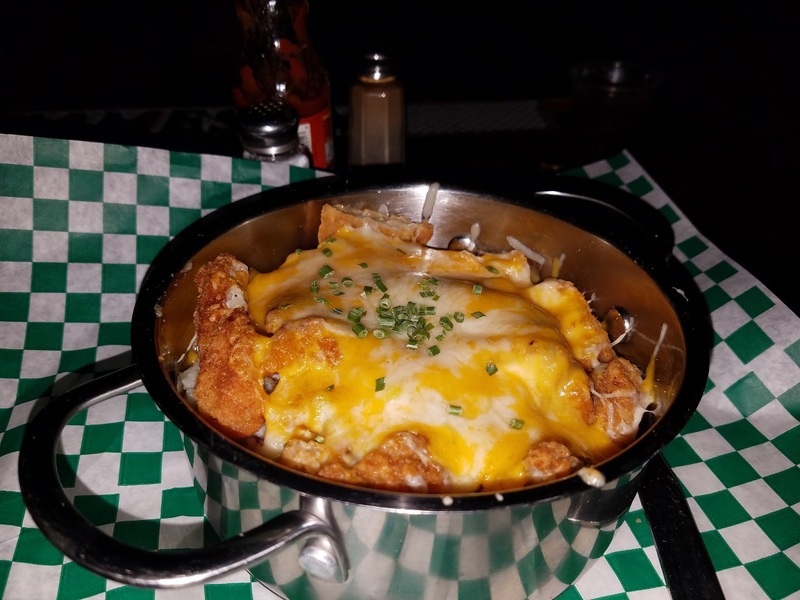 It includes fried chicken, mashed potatoes, gravy, corn and melted cheese. For an extra dollar you can get it 'OG' style with bacon. Of course, this reminded me of a quote by one of my favorite celebrities. Thank you Modern Map Art!